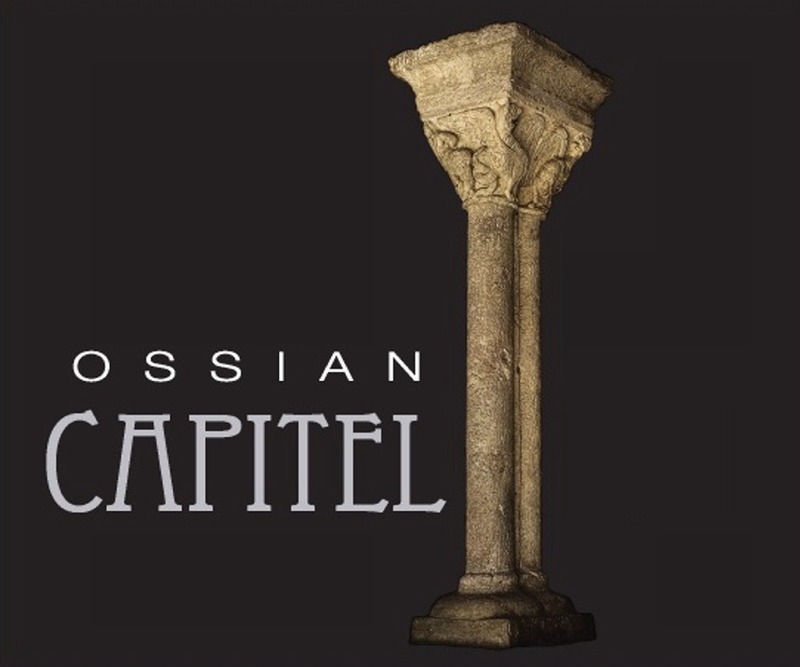 Ossian Capital represents a particular expression of very old Verdejo vines, taking its potential far finesse, elegance and longevity. It is made in selected years with a selection of extraordinary grapes. Color: Old golden yellow color with greenish reflections. Aromas: Surprisingly nuanced and profound. Flavors: Fresh, full and very light. With raw material of similar quality, Javier Zaccagnini and Ishmael Gozalo traveled to Burgundy in search of a good winemaker. There they found Pierre Millemann, which already had a strong reputation and long experience in developing large Burgundian whites. Pierre accepted the challenge and he is now in charge of the design and supervision of what this wine should be. Under his guidance began the project with the 2005 harvest, were making two different cuvées, and fermenting the juice in Burgundian 228-liter barrels manufactured by four different coopers (all from Burgundy), with oak from three different forests, with 2 different roast. All this was intended to investigate what wood is best suited to the Verdejo grape, and endowed the wine more complexity. The vineyards are located in the town of Nieva (Segovia). The cellar in which the project started is a small facility that is part of the old Monastery of El Parral, the twelfth century, opposite the Church, Mudejar Romanesque style, from the same era. In short this is an old project 100% grape Verdejo 100%, 100% ungrafted, 100% organically grown, 100% fermented in oak barrels, 100% Burgundian philosophy. The first vintage, 2005 Ossian, was bottled on October 25, 2006, yielding 12,000 bottles were put on the market in December of that year, after nine months of barrel aging and 2 months of bottle aging. Sold out in three weeks and they were awarded a 93 point score in the Penin Guide. The project was founded on an absolutely exceptional vineyards: 9 hectares of venerable vineyards between 100 and 200 years old. This is a pre-phylloxera Verdejo since that escaped the plague because of its sandy soils. The vineyards are located in the town of Nieva (Segovia province), the highest in altitude among of all the villages that are included in the D.O. Rueda, between 840 and 930 meters above sea level (150 meters in the area near the Duero River). This causes a specific climate, with higher thermal oscillations between day and night in the valley, delaying the harvest date and, finally, improving the quality of wine. Moreover, Ossian has been certified Organic for more than seven years. The winery does not get a single chemical synthesis, or fertilizer, herbicides or fungicides of any kind. It is the oldest registered and certified organic vineyard in the D.O. Rueda. Aged in French oak barrels for 8 months in our cellar. Lovely deep red color, with ripe blackberry fruit. The spiciness of the nose is echoed on the palate and combines well with juicy red fruit flavors. Well integrated oak and fine tannins ensures a long and classic finish. Coming from a sustainable 50-year old plot, grapes are crushed, destemmed and go through pre-fermentative maceration at 11ºC for 24 hours. Alcoholic fermentation in tanks. 4 weeks of maceration with must. Aged in French oak barrels for 8 months, Malolactic fermentation in contact with fine lees. Ayni Gravas was created show the diversity of wine profiles that can be derived from Paraje Altamira’s terroir. The goal with this particular wine is to show a markedly calcareous profile that derives in a more intense black fruit flavor profile and a chalky tannin structure with great age potential, as opposed to the more feminine and elegant style which is typical from Paraje Altamira wines. Chakana plans to further develop this wine, increasing its accents through vineyard selection and oak aging. Over time, production can potentially increase to 10,000 bottles (maximum). Ayni Gravas is produced from smaller plots of a 20 hectare vineyard in Paraje Altamira, Valle de Uco, Mendoza. Paraje Altamira is a Geographical Indication (IG) located on the alluvial cone of the Tunuyan River. The Ayni vineyard has been planted on virgin soils on the upper (south western) side of the cone. The vineyard is crossed by numerous smaller river beds that once formed the river delta, and these create a pattern of different soil depths and gravel formations, imparting very different characteristics on the wine. Ayni Gravas is produced only with the sections of the vineyard where the calcium carbonated gravels come to the surface and the vines grow amongst them with no soil. Only a smaller percentage of the vineyard (approximately 20%) features these conditions. Pairs well with grilled meats and stews. "This limited release from Paraje Altamira is much more mineral than the other Ayni Malbec bottling. It’s a tad austere at the moment, as well as showing more oak, but there’s plenty of structure here, with savoury tannins, dense fruit and a chalky finish. Just needs more time in bottle. 2019-28"
"The grapes for this wine come from Chakana’s Altamira vineyards, a selection of the property’s most stony/gravel soils (shallow). It’s aged in untoasted wooden vats (foudres) for a full year and today is the new brother of Ayni, Chakana’s traditional red. As seen in recent releases from this producer, especially in the last two vintages that we’ve tasted at “Descorchados”, it’s the red fruit, bracing, and with zip that predominates. Rather than make a more ambitious ripe & woody monster, they opted to lengthen it, to make in more linear, more vertical. This is a little stunner from one of the wineries to keep track of today in Mendoza."